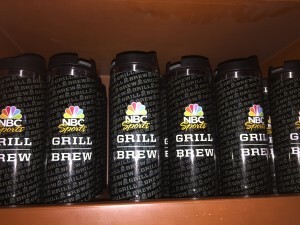 NBC Sports Grill & Brew – full menu, HD photos, and details! 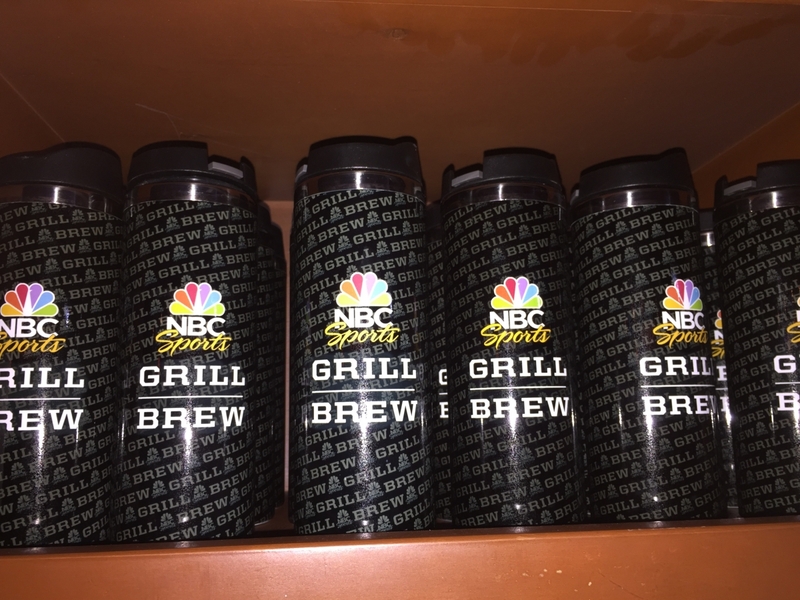 NBC Sports Grill & Brew offers, on the one hand, your standard bar food. But, on the other, its menu is far more expansive than you’d find at any normal bar (there are more than 75 food items and over 100 beers on hand, for example), and the presentation is absolutely stunning – nearly 100 HDTVs, open-fire grills, foosball tables that double as dining tables. (Oh, yeah – there’s also the more-than-120-foot-wide HD stadium screen that towers over the entrance of the building.) This not only makes it easy for everyone to find something that they’ll love, but it also transforms the familiar comfort food into something worthier of your vacation. Looking for some recommendations from what is one of Universal Orlando’s largest menus? Easy. The seven-layer Big Banana Cake ($19.95) is massive, serving four (or more!) people, and is absolutely scrumptious. On the liquid side, be sure to check out the house 862 Orlando brew, which is a draft brewed exclusively for the restaurant by the Florida Beer Company (the people responsible for the Duff beer found in Springfield, USA). Need even more help deciding? Not a problem. You can find the top five mouthwatering dishes here, and the top five delectable desserts here. 11:00 am – 1:30 am. Note: NBC Sports Grill & Brew’s menu was modified over the summer of 2017, streamlining a number of the various food categories. Nearly 30 items were removed, including Poutine, Quinoa & Edamame Burger, Filet Mignon, and Big Banana Cake; over a dozen new dishes were introduced to replace them, presumably easier-to-prepare options that would decrease prep time. Read more here. All burgers made with half a pound of Creekstone Farms Premium Black Angus Beef, served with French fries or tater tots. Vegetarian option available on request. Note: merchandise is no longer for sale at the restaurant. hoodies ($54.95), polos ($49.95), hats ($23.95), shot glasses ($7.95), coffee cups ($12.95), thermal cups ($18.95), NBC Sports polos ($44.95), NHL hoodies ($69.95), golf umbrellas ($19.95), NHL hats ($21.95), golf hats ($21.95), golf visors ($19.95), NBC Sports beanies ($21.95), and Sunday Night Football hats ($21.95). For a full look at the merchandise available, check out the gallery at the bottom of the page. The sports restaurant replaces what was NASCAR Sports Grille. It was announced on September 28, 2014, that the 530-seat NASCAR was closing on November 1 of that year. The replacement for the venue, NBC Sports Grill & Brew, was officially announced on June 1, 2015. 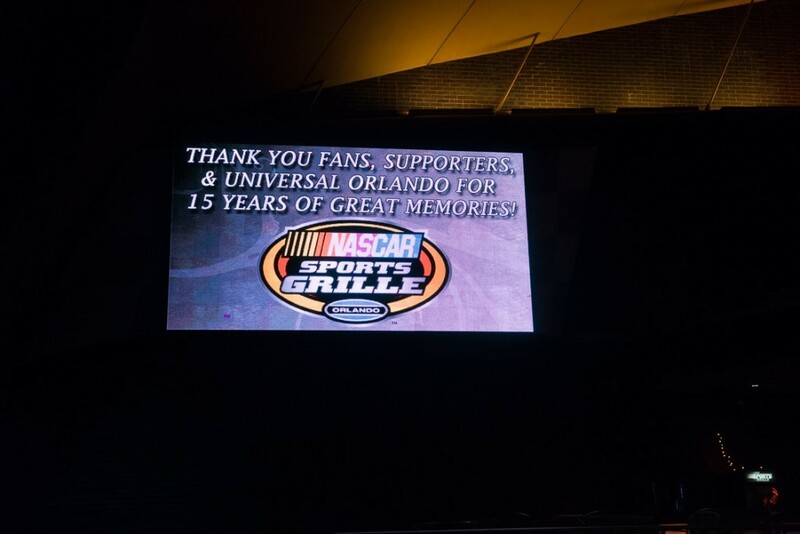 Nascar Sports Grille’s digital sign on November 1, 2014. 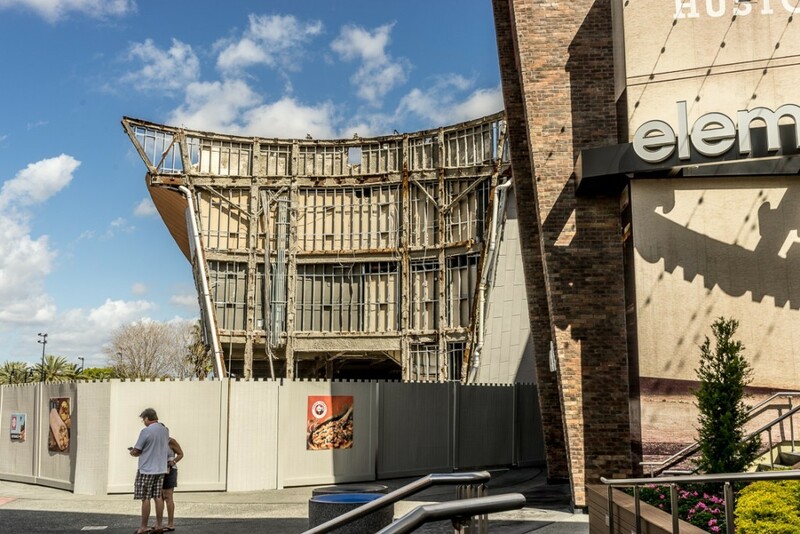 NBC Sports Grill & Brew’s exterior on February 22, 2015. 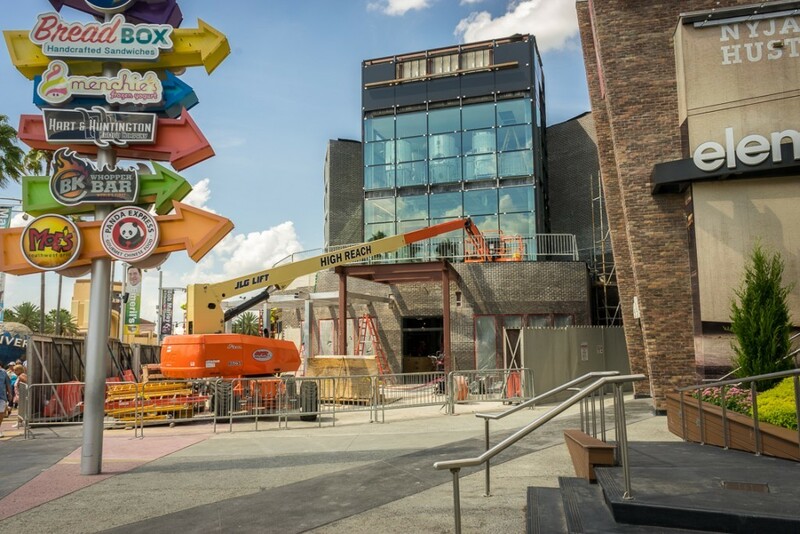 NBC Sports Grill & Brew’s exterior on June 11, 2015. 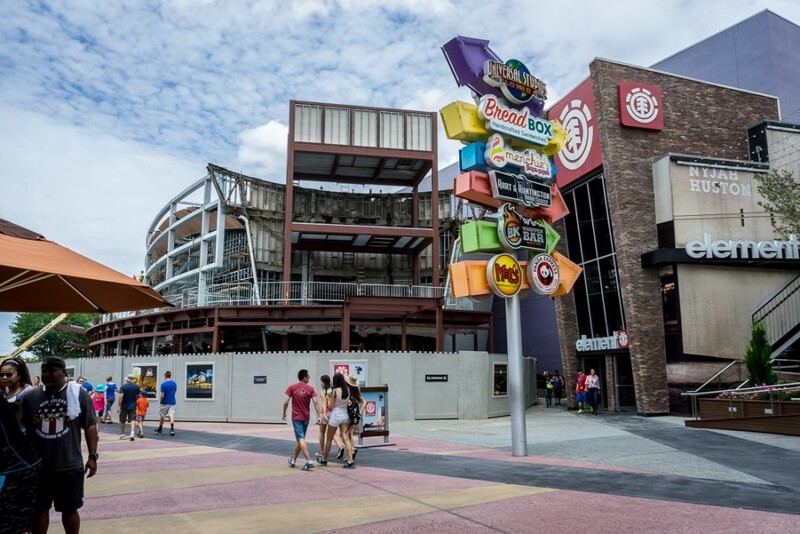 NBC Sports Grill & Brew exterior on August 6, 2015. 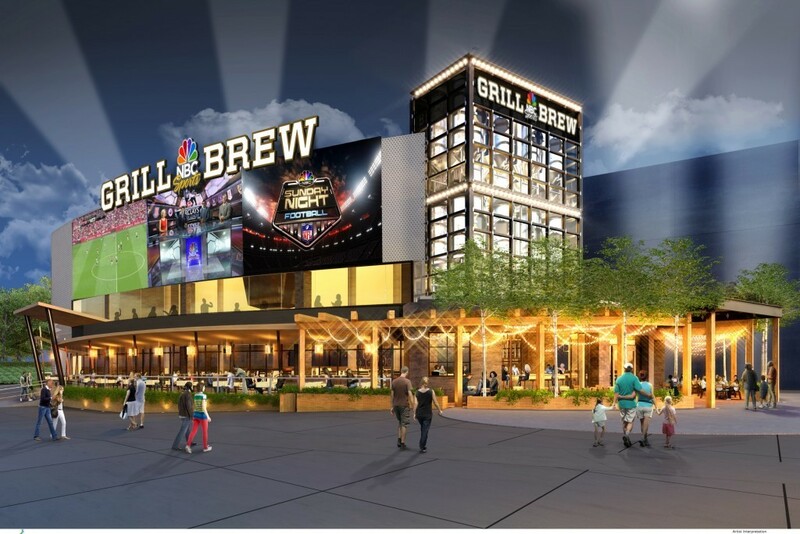 NBC Sports Grill & Brew conceptual artwork from June 1, 2015. 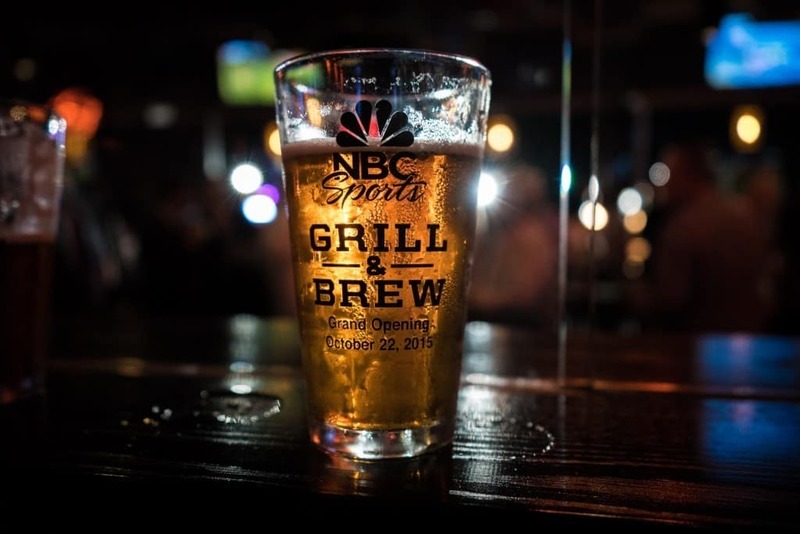 NBC Sports Grill & Brew had its official grand opening red carpet event on October 22, 2015. The NBC Sports Sunday Night Football travel team of Bob Costas, Cris Collinsworth, Hines Ward, and Michele Tafoya led attendees in a commemorative toast to mark the official opening. Fourteen other commentators from the NBC Sports family and countless executives and athletes were present, as well. Glass used in the commemorative grand opening toast for NBC Sports Grill & Brew.